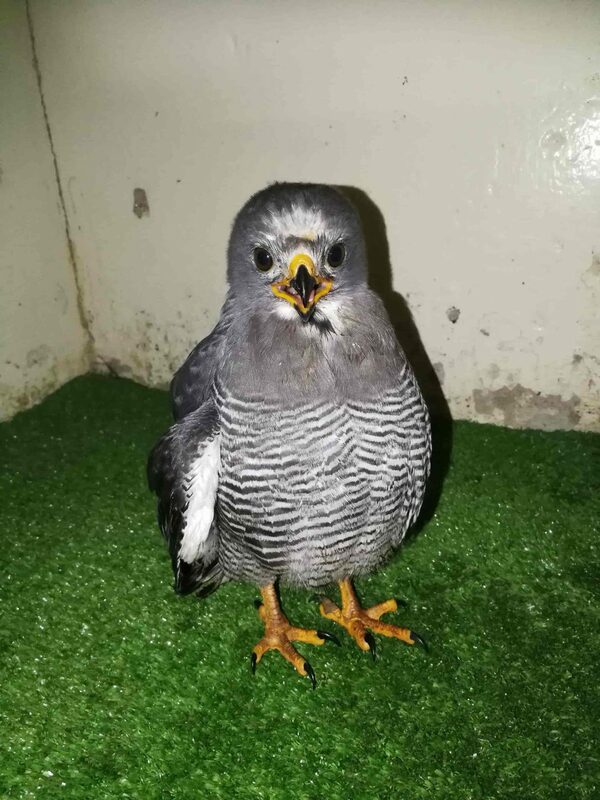 A young lizard buzzard was brought in after his nest had been destroyed. He was very skinny and his right wing was hanging much lower than the left. Luckily, there was no break in the wing or any open wounds. 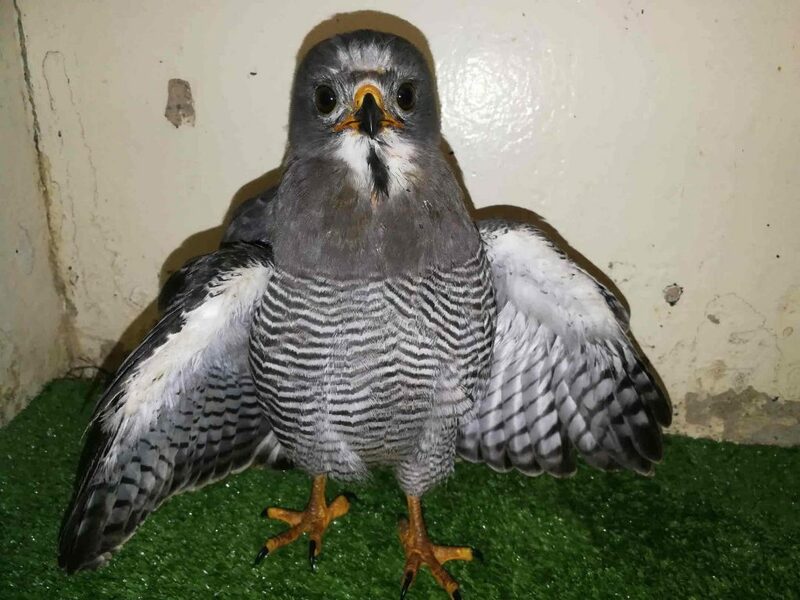 Hopefully with time and rest his wing will come right and fingers crossed he can be released once he is old enough to be independent as he is only around 4 months old now. He will be fed on good food to help him pick up weight and also aid in helping his wing heal. Lizard Buzzards eat a large variety of prey from insects and lizards to small mammals and birds. Lizard buzzards are small sized birds of prey with very beautiful markings, a distinctive vertical black stripe on a background of white feathers on their throat.